My name is Ardjan Bashaj and I live in Prush, Albania. A few years ago, I have decided to dedicate myself to my greatest passion, farming. Despite my strong motivation and Albania’s favourable climate for farming, I was lacking the funds to grow my business further. In April 2015, I approached NOA (Albanian microfinance institution) to apply for a loan. Together, we discussed my current needs and my projects for the future of the farm. In a very short time, NOA helped me improve my business conditions with a first loan. Always looking for new opportunities to grow, I did some market research to find ideas to improve my offering and found out that a specific variety of seasonal melons were not only more productive and resistant but also more nutritional. However, I did not have the sufficient financial means to purchase melon seedlings and the drip irrigation system to grow this specific type of fruit. Since the first loan experience was successful, I decided to go back to NOA to apply for a second loan in November 2016. The fast processing of the loan enabled me to start seeding in time for the season and ultimately deliver better products to the Albanian market. 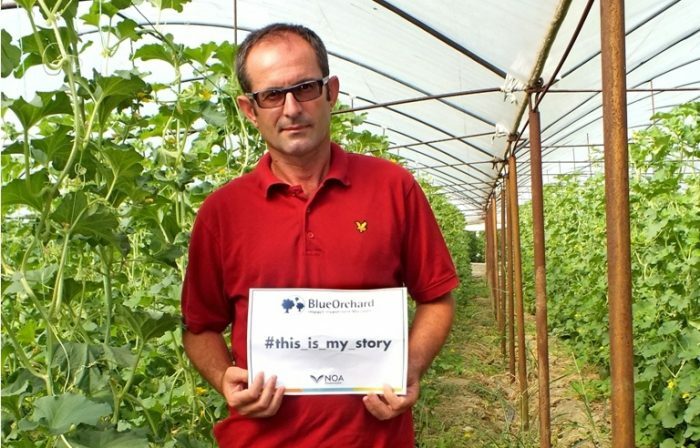 The loans provided by NOA enabled me to live from my passion and improve my business, while contributing to the local agricultural sector of my country.